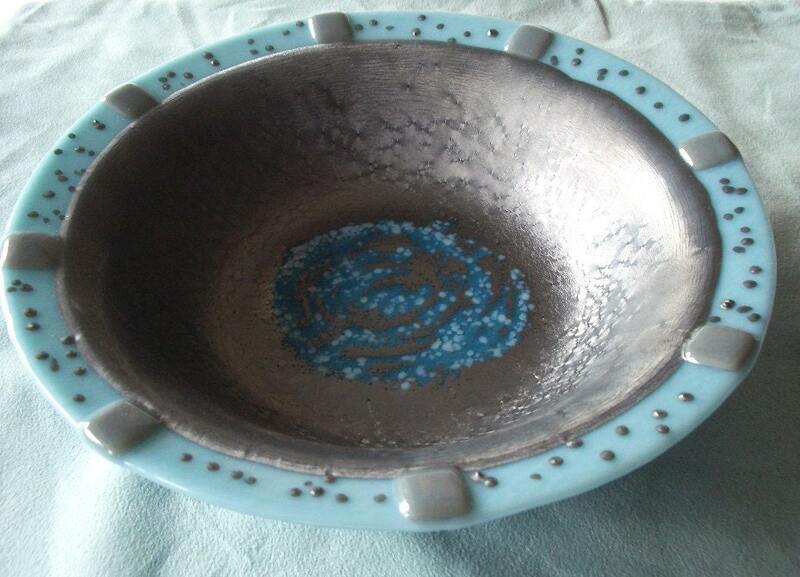 Today's featured artist is Beth Reiman from BPR Designs. 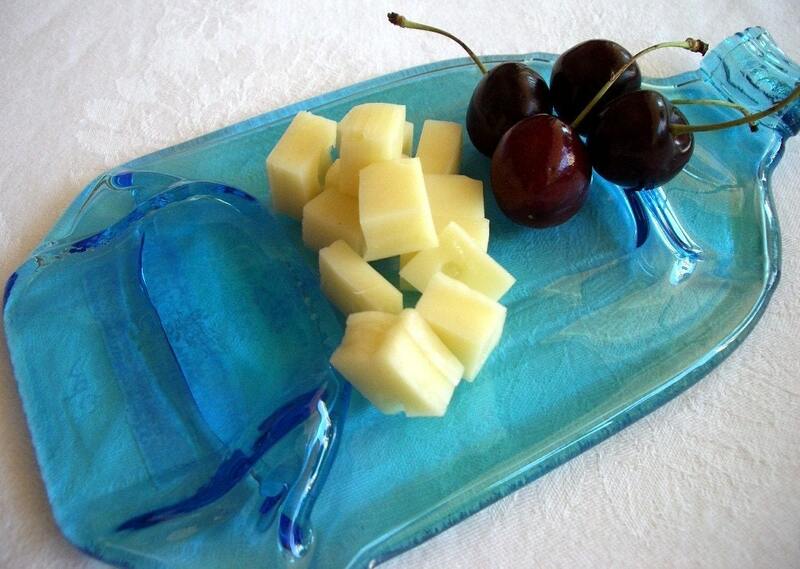 Beth lives in Portland, Oregon and does beautiful kiln fired glass work, making soap dishes, pendants, wine bottle cheese plates, vases, bowls and more. 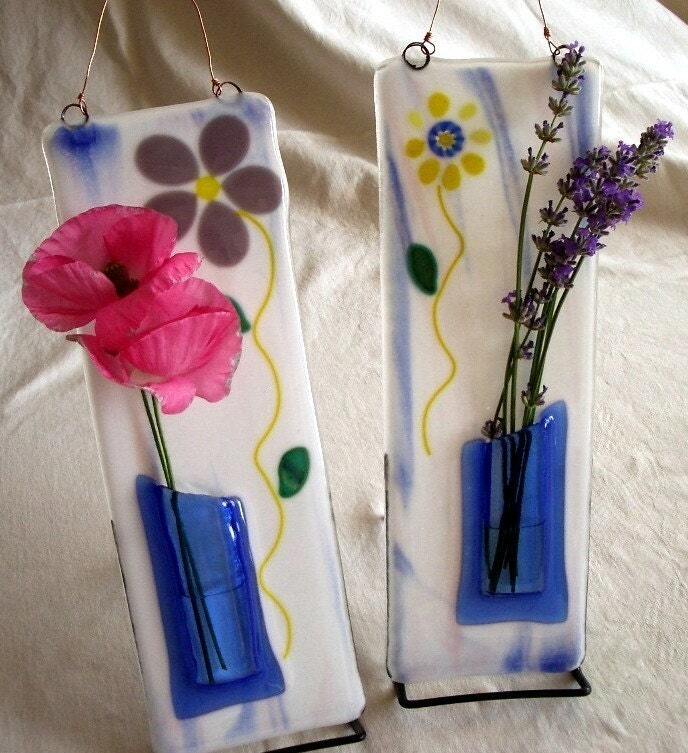 Beth says, "I have always loved glass and a few years ago I decided to take a couple of fused glass classes locally. I was hooked at once!" I hope you will take a moment to get to know Beth and peek into her wonderful shop. I think the colors in nature inspire a lot of my work. I love the outdoors and gardening. I think that is why you see so much green and blue in my shop. But I really love all color! When I am creating a functional piece (like a plate or bowl), I try to think of how and where I might use it to determine the design. I generally create to my own taste, although I often accept commission work of a particular style or color that I might not normally do on my own. The great thing is that often drives me to something new that I haven't tried before and it opens up my horizons! 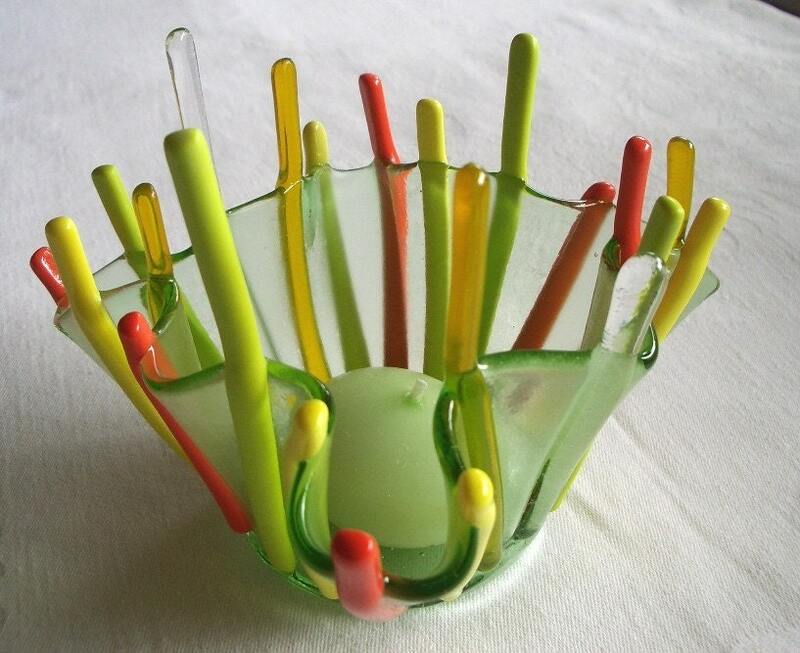 The primary material I use is fusible art glass, generally Bullseye, which is manufactured here in Portland. The primary goal that I have for my shop is to grow my business consistently and maintain a base of satisfied customers who love my glass pieces as much as I do, and will return to shop with me again! What are your hobbies when you ae not creating? When I am not in my glass shop, I like to garden, cook, travel, kayak or sip some wine on my deck! I think that my flower garden is my second favorite creative activity. I keep stealing lawn space to put in more dahlias! How did you come to sell on Etsy? Do you sell anywhere else? I first was referred to Etsy by a friend when we were looking for a wedding gift for a mutual friend. I couldn't believe how many great shops were out there! It seemed like a great community to sell in, once I decided to try to sell my work. I also do some art fairs locally. You can find me Facebook at http://www.facebook.com/pages/BPR-Designs/82999911944 I am still "Twitter-free!" What is the most valuable lesson you have learned from creating and selling on Etsy? The most valuable thing I have learned from my art and being an Etsy seller is the incredible power of networking. It is amazing how things catch on when you start connecting with others. It looks great, Amanda! Thanks so much for the promo!